There are plenty of dealerships out there willing to sell or service trucks, but how much do you really know about them? For example, do you know if we’re family-owned or corporate-owned? Carmenita Truck Center is family owned which means you’re going to get a more personalized experience. How long have we been in business? 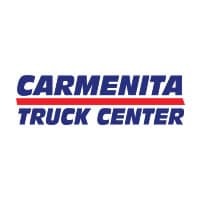 Carmenita Truck Center was established in 1966 and was purchased by the Heidler family in 2010. In addition to Carmenita Truck Center, the Heidler family also owns Tom’s Truck Center, which we purchased in 1974. We’re here for you today, and we’ll be here for you tomorrow. How good are we? Carmenita Truck Center has won the prestigious Hino Yokozuna two times and is the only dealership to have ever done that. Being good at what we do isn’t an accident; we work very hard to deliver you an excellent experience every time. Our mission statement will tell you who we are: Carmenita Truck Center is successful because our people are driven to offer our customers the very best products and services to meet their unique business goals. Thank you for considering Carmenita Truck Center!